Hack This Infographic Story Stretcher: What’s the Magic Word? This week’s infographic was not a huge success. A great storytime book for 4s and 5s! 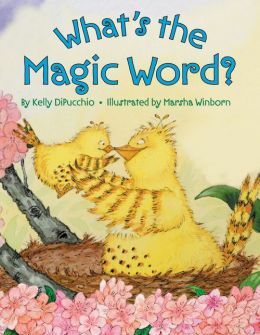 What’s the Magic Word by Kelly DiPucchio is one of my all time favorite storytime books, but I should have known this story would not go over as well with toddlers. It’s too sophisticated, and perhaps a bit too scary, for this age group. But I wanted to post it anyway for two reasons: 1) it needs some tweaking, but I don’t know what those tweaks entail. I could use some ideas (hint, hint); and 2) toddlers are my main audience, so this infographic won’t see much action if I neglect to share it. Feel free to hack this infographic. In fact, I will upload all the images I used tomorrow when I get to the library tomorrow.